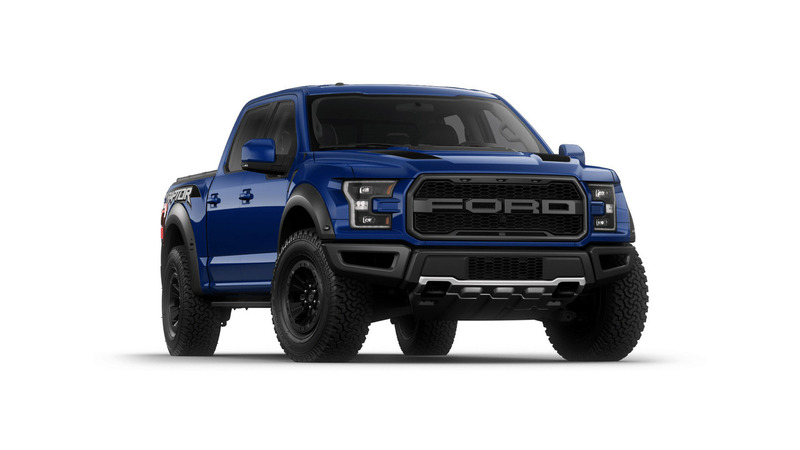 The 2017 Ford F-150 Raptor is one of the hottest trucks entering the market, and the configurator is now online – check it out here. 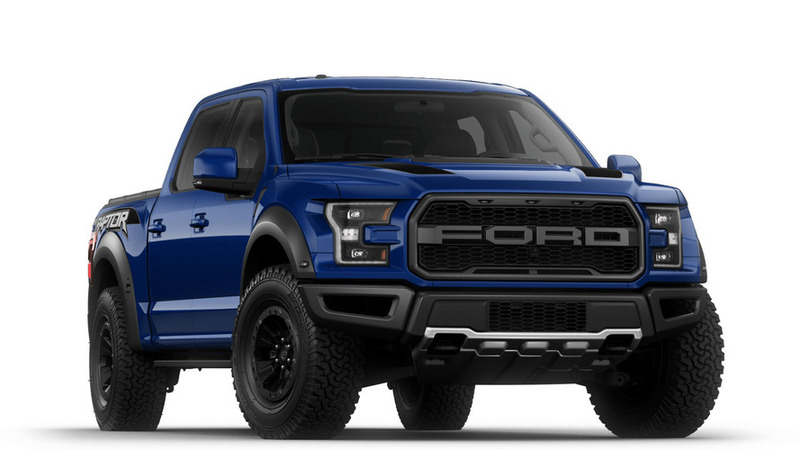 The starting price of $49,520 seems reasonable for so much capability, but we want to know what the most expensive Raptor costs. We checked every available option box to find out, and the price balloons to $72,965. Keep reading to find out all the extras you get for so much extra money. One of buyers’ major decisions is whether to opt for the more spacious SuperCrew body for $2,985, rather than the standard SuperCab. 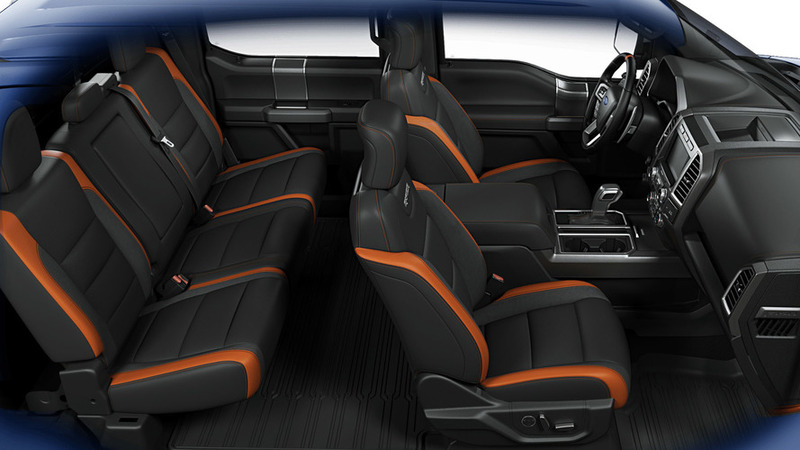 The choice means more room in the cabin, especially for occupants in the rear, and 91 percent of the configurator’s users tick this box, according to Ford. With the choice of body style out of the way, it’s time to pick a color. This is a tricky choice, though. Among the shades, only Ruby Red comes at an extra cost ($395). However, you can’t have the crimson hue and the $750 Interior Color Accent Package that adds orange cabin trim and an aluminum dashboard garnish. In the spirit of maximizing price, our fantasy truck has the more vibrant upholstery and the Blue Oval’s azure exterior (below). The 802A option package costs a significant $9,345, which is 18 percent of the Raptor SuperCrew’s cost. The extra money buys a ton of features, though. For example, buyers get amenities like Ford’s Sync 3 infotainment system with navigation, a limited-slip Torsen differential for the front axle, 360-degrees of cameras, blind-spot monitoring, trailer backup assist, and LED convenience lighting in the bed and side mirrors. 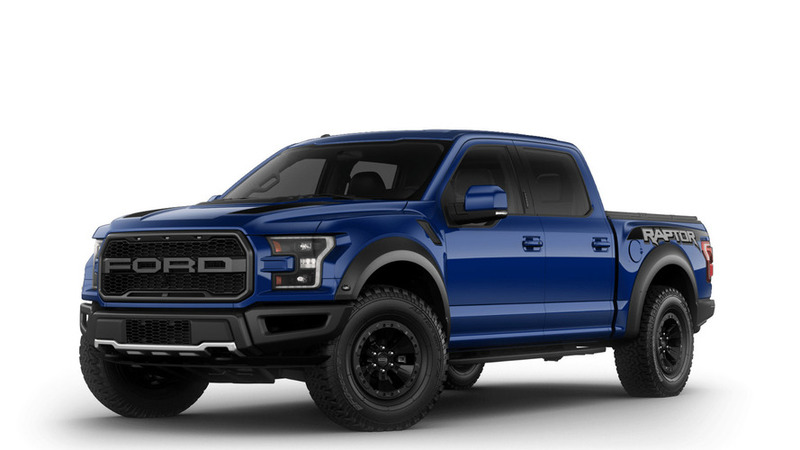 An additional $1,950 adds the Raptor Technology Package that includes lane-keeping assist, lane-departure warning, automatic high beams, rain-sensing wipers, and adaptive cruise control with collision mitigation. 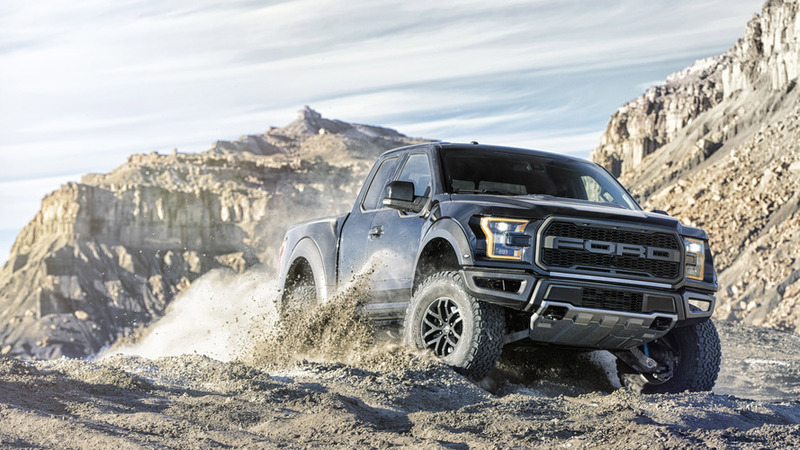 With these high-tech upgrades out of the way, it’s time to give the Raptor some extra style, and Ford has plenty of options for customers to outfit their perfect truck. The most expensive of these if $1,295 for a twin-panel moonroof, and $1,165 for a set of 17-inch black bead-lock capable wheels is a close second. Our fantasy truck also has the $1,075 Exterior Graphics Package and $900 Hood Graphics Package. 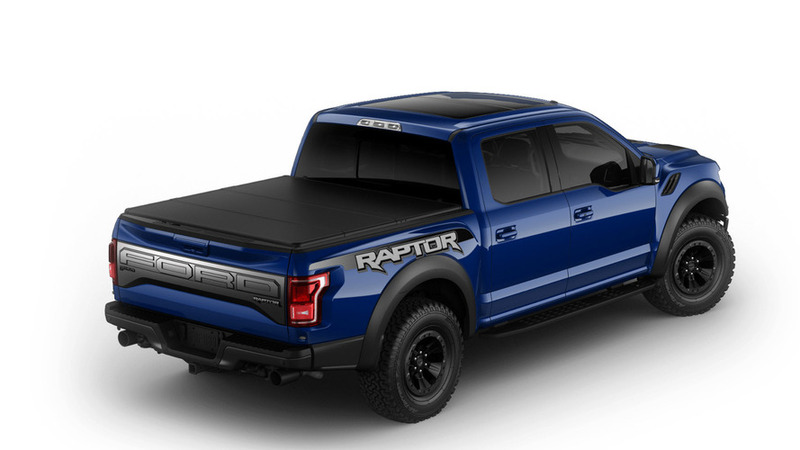 The pickup’s bed looks cool with a combination of a $995 hard tonneau cover, $495 spray-in liner, $495 tailgate appliqué with prominent Ford branding, and a $250 bed extender. These are just some of the $20,460 in amenities on the fully optioned 2017 Raptor. The tech upgrades would likely be welcome additions for most buyers, but the styling tweaks are a matter of personal preference. Even without the aesthetic additions, this remains a seriously mean-looking pickup. Deliveries of the muscle truck begin in the United States in December, so expect to see them on the road soon.